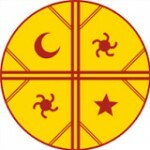 This event is for the fulfillment of the Native American (both North and South) prophecy of the Condor and the Eagle. (Read a well written article on the subject). The event is intended to be multi-cultural, educational, spiritual and healing as well as an activation of energies. It is a day-long experience with a host of ceremonies and participants that will create a huge energetic shift in upper mid-west and beyond! 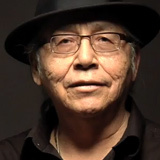 Cedric Red Feather – Cedric is a Nueta Waxikena (Mandan Turtle Priest of the Mandan Tribe of North Dakota), a Purple Heart combat-wounded Vietnam veteran. An Okipa Maker (a Mandan Ceremony more extensive than the Sundance ceremony) he was initiated into the Sacred Brotherhood by the Spiritual Council. He is a member of the Blackmouth Soldier Society (veterans who preserve the sanctity of ceremonies) and Red Feather Society (Honor for Native American soldiers wounded in combat). 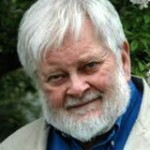 Cedric is the author of Mandan Dreams and is currently working on his second book. Cedric’s connection to spirit is profound and deeply steeped in the tradition of his people the Mandans. He will perform an Eagle Ceremony that will engage his Eagle Medicine to begin to merge with the Condor. Jorge Luis Delgado — He received his early training from the Kallawaya shamans of the NE Lake Titicaca region, the lineage of the Wise Ones of the Andes, and from the Qero elders of Cusco, who are the last remaining tribal descendants of the Incas. 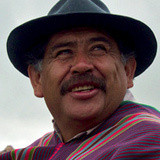 Jorge was born in the highlands near Lake Titicaca, Peru, which is the heritage of the Inca Aymara. He is a Qero Yatiri (medical practitioner and community healer) Heritage Keeper, Condor Protector and author of Andean Awakening: an Inca Guide to Mystical Peru featured on the television show “Ancient Aliens.” Jorge Luis brought to public attention the Aramu Muru Doorway, an inter-dimensional portal located in the Hayu Marca Mountains in south Peru. He is also a founding member of The Brotherhood of the Solar Disc, an Andean esoteric society. 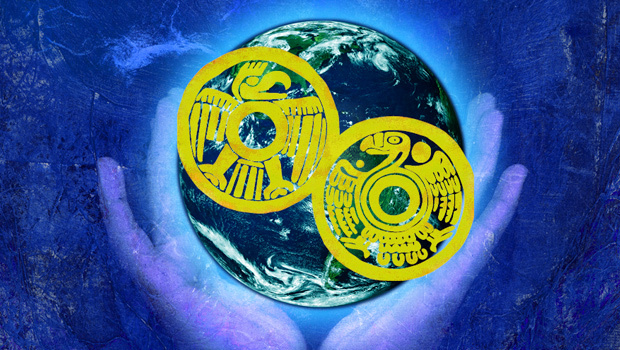 Jorge’s work with the sun’s energies, plant ceremonies and the heavy energies that we carry and desire to remove to have only love remain, are extremely profound teachings. You can hear our radio conversation on Beyond the Edge with Mary Laven. Jorge will perform a water ceremony, which will marry (merge) the souls of the waters from Lake Titicaca (known for being the highest most navigable lake in the world) with the waters of Lake Superior the largest lake in North America. Note: Private Sessions with shaman Jorge Delgado at Wind over Fire Healing Arts Center and at a location in Burnsville, Minnesota on December 3-5th. Each personal session is approximately one-hour long. Call Mary to schedule a session at 507.281.6649. 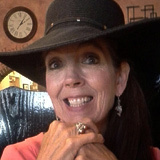 Gina Miranda Kingsley — Gina is a Mayan Day Keeper, the expert in the U.S. on the Mayan Calendar whose family origin was the Mayans in Lake Atitlan, Guatemala. She was 11 years old when she began training with a shaman who identified her destiny in connection with the Mayan Calendar. 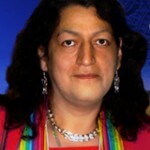 Gina is a force of nature and works with all the natural elements in her ceremonies. She is a spiritualist, and is the feminine energy used to bridge the two continents with the beginning ceremonies of the day. Janet Michele Red Feather, JD, MA — A Ceremonial Singer, Janet has learned over 60 Traditional songs in Mandan and Lakota and sings in nine different languages. 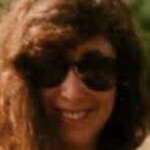 Janet was a full-time defense litigator in California for seven-and-a-half years. Her life changed significantly after she traveled to North Dakota in 1993 to fast and pray for a way of life. A regular columnist for EDGE Magazine, she also writes for Psychic Guidepost, FATE Magazine and Species Link. Her new book, “Song of the Wind” (2014, Galde Press) deals with her experiences as an empath, and her journey through Mandan spiritual culture. She is currently a full-time, tenured English Faculty member at Normandale Community College. Janet’s incredible voice sung with spirit will be singing Native American Eagle songs during the ceremonies for us. Victoria Taylor — is a medicine woman of the Okipa and a Certified Matrix Energetics Practitioner. She is a keeper of Eagle Medicine that has been passed on through several generations of the Nueta. Victoria will offer ceremonies for the Eagle, including loading of the Sacred Eagle Pipe. Aztec Dance Group Danza Mexica Huitzillin (Hummingbird) — Huitzillin’s focus is preserving Aztec tradition and keeping the spiritual connection alive through dance. Our group is ceremony-driven and focused on community service and interaction as well. We believe that the physical act of dance and the mental discipline it requires is the perfect balance that keeps the mind and body vital and forever moving forward. Despite being a newer dance group, it has members with dance experience from 1 to 17 plus years. 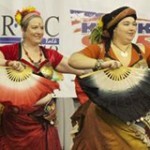 Being an open group, new members are always welcome to join and learn the dances and culture. The group will be dancing to bring in the energies of the Eagle and the Condor … as well as other spirits. Third Eye Tribal – is a performance troupe from Rochester International Dance Studio located in Rochester, Minnesota. Third Eye Tribal embodies a celebration of women’s bodies, movement and spirituality through American Tribal Style belly dance. This dance style allows the dancers to interact improvisation-ally with each other, the music and the audience. We create sacred space in the act of dancing and sharing this dance. Third Eye Tribal will be dancing to bring in the feminine power and energies in. CONCH WOMAN. A young medicine woman who drowned in Glacial Lake Pelican in Western Minnesota, ten thousand years ago, while playing a trumpet, made from a conch shell from the Gulf waters off the coast of Florida, in order to prevent her people from dying of starvation. MEDICINE WHEEL. A young man named Burnt Face who followed an eagle to a place high in the Big Horn Mountains where the eagle taught him how to make the first medicine wheel. THE WOMAN WHO MARRIED AN EAGLE AND THE FLOOD. A young woman who married the eagle who saved her from the waters of the great flood and became the ancient mother of us all. 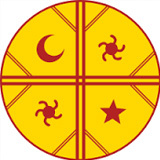 Mandan White Buffalo Cow Society –The White Buffalo Cow Society is an ancient Mandan Society of women that returned to the People to help fulfill the Mandan Okipa. 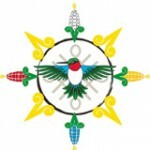 The society has grown and will offer its presence at the Eagle Condor Prophecy. Society members will assist with the altar and hold sacred space during the ceremonies. Chilean Mapuche Machitun Healing – The Machitun is the healing ceremony of the Mapuche, the indigenous people of Southern Chile. We will be led in this beautiful ceremony by women and men of the north who have trained in this tradition, and been given permission by the Machi (shaman) to bring this ceremony to anyone in need of healing. Using drums called Kultruns, and other ceremonial instruments, they will create sacred sounds that evoke an ancient remembering; they connect us with the roots of our vital life force and are powerful tools for restoring harmony within us. Donation at the door: $20.00 per person. Children under the age of 10, free. Group rates available in advance for groups of 10 or more. Bring a chair: Seating will be limited and preferred for elderly and those that may need to sit. You might want to bring a chair for your convenience. You may also choose to bring a blanket as you may choose to participate in the Machitun Healing lying down (if possible). Bring a bag lunch and bottled water: We are uncertain if any vending will be available at this time. If it changes we will have it posted here on this webpage. Lunchtime entertainment will be a Cherokee storyteller entertaining those that remain in Festival Hall during the lunch hour. Bring a shawl or large scarf. 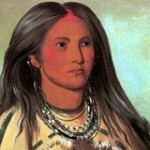 In typical native traditions it is customary for woman to wear out of respect. You may want to wear your shawl during the final cultural Round Dance – a celebratory dance with includes all people at the grand finale. Children welcome with adult supervision.